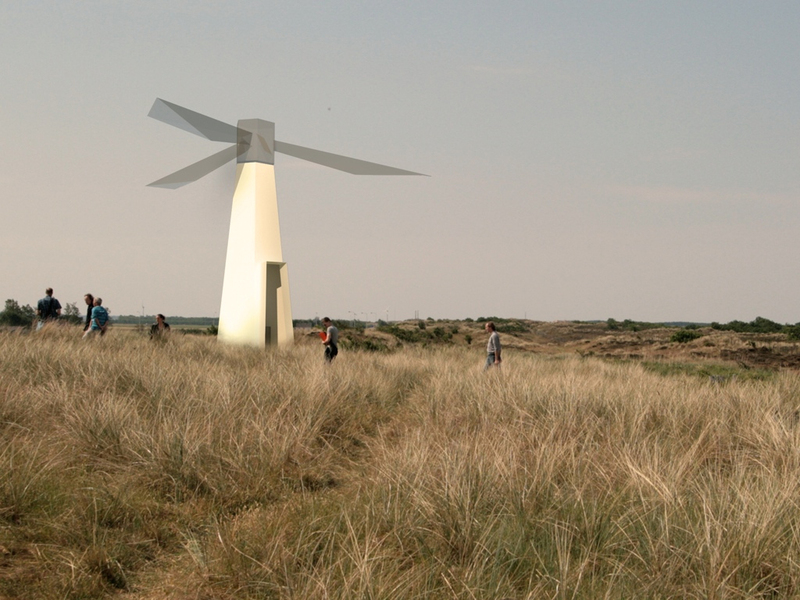 This combination between a lighthouse and a wind-turbine stands on the edge of a former island, now polder. 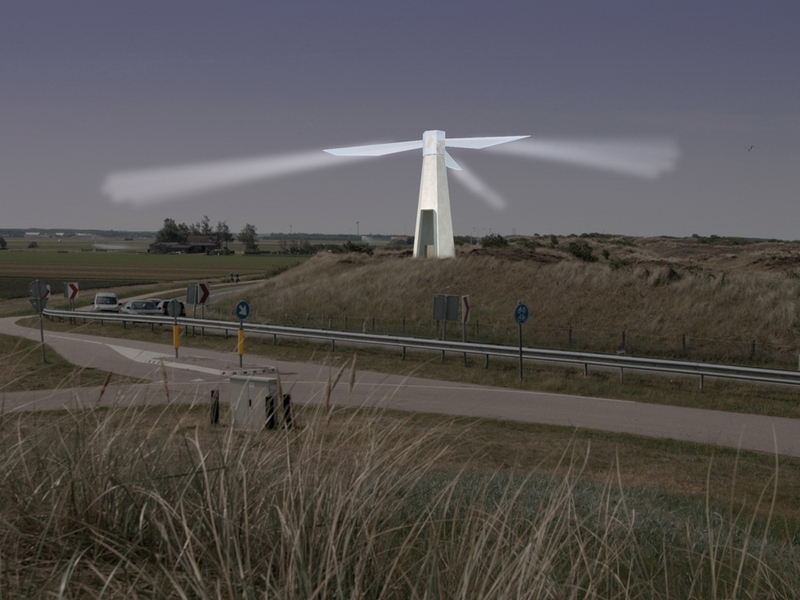 The light-beams of the lighthouse have been made physical and so form the wings of the wind-turbine. The structure can therefor provide it’s own energy.